Hamas terrorist tunnel discovered under a school run by UNRWA in Gaza. A Hamas terrorist tunnel was discovered under a school in Gaza run by the United Nations Relief and Works Agency for Palestine (UNRWA), Israeli media reported on Friday. The tunnel was discovered a week and a half ago, according to the reports. The Coordinator of Government Activities in the Territories, Maj. Gen. Yoav Mordechai, confirmed the discovery of the tunnel in a post on his Facebook page in Arabic. 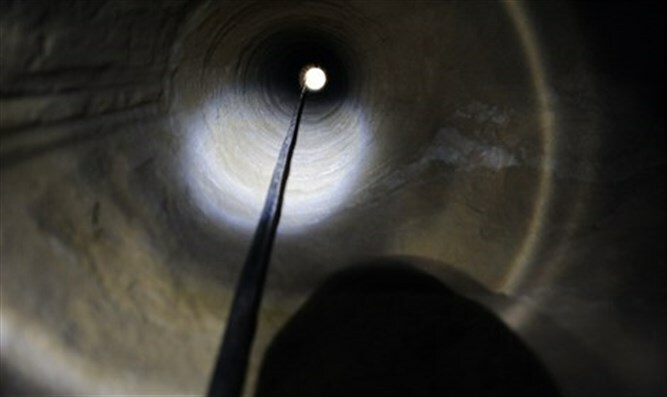 “The tunnel was discovered underneath a school for boys in Al-Maazi...It is clear that the entire Arab world understands that it is the Hamas terror organization that destroys Gaza and eliminates any chance of a good future for Gazans,” wrote Mordechai. Israel’s Ambassador to the United Nations Danny Danon reacted harshly to the revelation of the existence of the terror tunnel. “This tunnel verifies what we have always know, that the cruelty of Hamas knows no bounds as they use the children of Gaza as human shields. Instead of UN schools serving as centers of learning and education, Hamas has turned them into terror bases for attacks on Israel,” said Ambassador Danon. This case follows a number of incidents exposed recently of ties between UNRWA personnel and the terrorists of Hamas. Ambassador Danon called on the Secretary General and the Security Council to intervene to ensure the implementation of strict oversight over the UN body. “The UN must act immediately to ensure that their structures and institutions are not being used to harbor the terror infrastructure of Hamas,” Ambassador Danon concluded. Hamas has been busily reconstructing its terror tunnel network breaching into Israeli territory which was targeted by Israel during the 2014 counterterror Operation Protective Edge. A senior Israeli security official estimated several months ago that the terror group continues to dig 10 kilometers in tunnels leading into Israel per month. Digging a tunnel underneath a building used as a school is nothing new for Hamas, which regularly uses civilians as human shields and hides rocket launchers in places such as schools and soccer fields.